Study Bachelor of Human Movement at the University of South Australia (UniSA). Information for International students. Tailor your degree to your interests and career goals through primary streams in Health and Physical Education or Exercise and Sport Science. Graduate industry-ready when you complete practical workplace experience. Learn in state-of-the-art on-campus facilities, such as an exercise physiology clinic, environmental chamber, exercise physiology laboratories, and a health and fitness centre. Be taught by world-class staff, including Australia’s leading exercise scientists and physical activity specialists. 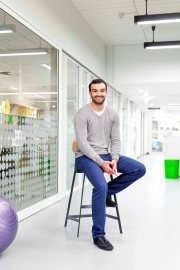 Follow on from this degree with postgraduate study in areas such as physiotherapy, occupational therapy, research and secondary teaching. Combine your interests in human movement with nutrition and food sciences or psychological science by studying a double degree. Apply for the Bachelor of Human Movement/Master of Teaching (Secondary) – it’s a pathway straight into postgraduate study. Exercise and physical activity positively affect human life in a variety of ways - biologically, psychologically and socially. In this industry-relevant degree you will develop a holistic understanding of these impacts. You can align your studies with your career aspirations, with the opportunity to select one of two primary streams in Exercise and Sport Science or Health and Physical Education. There is also the opportunity to select secondary study streams in Rehabilitation Sciences, Sports Coaching, Outdoor Education, Health Promotion, Nutrition or Advanced Exercise and Sport Science. If you think you might be interested in secondary school teaching, you can apply for the Bachelor of Human Movement/Master of Teaching (Secondary). Please see the Your Career section below for more information. During your final year you will focus largely on your chosen stream. You will also learn practical skills and effective communication skills to facilitate interaction with a range of clients and peers, complete client screening, conduct laboratory and field testing, design and implement physical activity, exercise and training programs, and interpret scientific research. 2. Students must have a 'Provide First Aid Certificate', Cardiopulmonary Resuscitation Certificate (CPR) and Mandatory Notification Training Certificate, prior to the commencement of any field placement. 3. The program requires participation in practical classes where manual skills are practiced. Essential learning activities in some classes may require that students partially remove their clothing to a level that is appropriate to the learning activity. Students may also be asked to act as subjects for their peer group members. If a student is unable to meet these requirements they may be at risk of being unable to successfully complete course objectives and assessments and progress through the program. 1. There may be incidental fees depending on the choice of elective courses throughout the degree. 2. Students are recommended to select from the primary study streams of Exercise Science or Health and Physical Education by the commencement of Study Period 5 in their first year. Students can also select a secondary study stream beginning in their second or third year. 3. Exercise Science students are recommended to select 5 courses from Advanced Exercise and Sports Science, Rehabilitation Sciences, Nutrition and Dietetics or Sports Coaching, but may also undertake courses from Health and Physical Education and Outdoor Education study streams. 4. Health and Physical Education students are recommended to undertake a secondary stream in Outdoor Education or Sports Coaching, but may also undertake a study stream in Nutrition and Dietetics, Rehabilitation Sciences or an additional learning area. 5. Electives can only be taken outside these study streams with the Program Director's permission. 6. All stream/optional electives may not be available each year but will be offered according to student demand. 7. Students select one free elective in their second or third year. 8. Exercise Science stream students seeking Exercise and Sports Science Australia (ESSA) full membership (Exercise Scientist) will need to complete 140 hours of industry practicum that complies with ESSA requirements in their own time and will need to apply via the non-NUCAP process as an individual application.. World-class teaching staff and state-of-the-art learning facilities mean this degree is a great choice for students interested in exercise and physical activity. 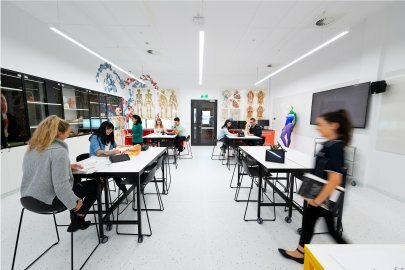 Our on-campus facilities, such as our specialised exercise science laboratories, are a great way to develop practical skills and explore and experience the hands-on nature of this growing industry. In your first year you will complete a placement, meaning you will be exposed to industry from the very beginning. You will also have the opportunity to undertake other placements through electives in a wide range of different fields. We have teamed up with a number of elite and local sporting organisations, such as the Adelaide Football club, Adelaide United and Basketball SA, providing you with excellent networking opportunities. You will also complete a placement as part of your study, further enhancing industry networks and relationships. With further study in Secondary Teaching, this stream can lead you to become a secondary school teacher in Health & PE, Junior Science as well as a third learning area depending on your electives. If you think you might be interested in secondary school teaching, you can apply directly in the Bachelor of Human Movement/Master of Teaching (Secondary). For more information including subjects you'll be able to teach, visit our secondary health and physical education teaching page. Become even more employable by combining your Bachelor of Human Movement degree with another degree. With just one year of extra study you can graduate with a double degree. Your options include Nutrition and Food Sciences or Psychological Science (Counselling and Interpersonal Skills). Other postgraduate coursework areas include physiotherapy or occupational therapy. For more information on where this program can take you, visit our Active Careers page. As Program Director since 2013 I head a group of outstanding teachers and researchers that educate highly capable graduates who are engaged with industry and community, and can contribute to a healthier and more socially just society. As well as a passion for outdoor education and research, I love seeing students develop new capabilities and graduating with a passion to make a difference in their world. The Human Movement degree is a perfect spring board to kick-start any career in the ever-expanding health industry. I studied the linked pathway into the Master of Teaching and love working with young adolescents and seeing them active.